As the students in my upcoming Simpson Colloquium course — Prelude to a Farce: American Journalism and Democracy — are getting to know, my teaching philosophy involves heavy doses of social media. I believe in talking to students on their turf rather than forcing them to come to mine. For some platforms, Facebook mainly, that’s not difficult to do. Twitter is another matter, and although student resistance to participating in the fastest growing social network is evaporating I’m still finding that my students are fairly clueless on how to get going and get actively involved. And with my class soon starting a Twitter-based discussion of our summer reading — Amy Chua’s Battle Hymn of the Tiger Mother — it’s time for some tips on how to talk about a book in 140 characters or less. View Twitter as a way of life and not simply as a class requirement. This isn’t really a tip on how to use Twitter as much as it’s a “why” to use Twitter. 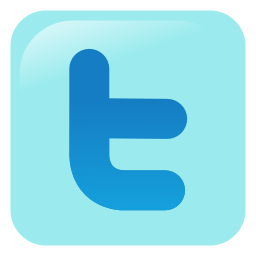 Many students adopt Twitter because a professor or employer asks them to do so. They tweet as often as they’re required to, without much passion or insight. They drop it as soon as the term or the job is over. But you’ll find quickly (if you’re paying attention) that you begin using social media not for personal edification but for the same reason that you study for exams or work out with your team: Because it helps you connect and perform at a higher level. Building a list of followers, and the best way to do that is to start by “following” people. Start with the list of students from this class. Tell your friends they’re missing out by not being on Twitter. Check it often and tweet often. 5-10 times a day is a lot better than once every other week. You’ll be amazed at how easy it is to drop a tweet once you’ve going at it for a few days. Take it with you on your mobile device. Here’s a list of top Twitter apps for Android and iPhone. Building a voice on Twitter by replying, retweeting and reacting to the posts of others. Read a post that you find interesting or worthy of spreading to your followers? Retweet it! (Retweets are those posts that have “RT“ followed by a name in a post. Mention other people in your tweets by their Twitter username. I never refer to “Sarah Palin” by her given name when I tweet. Rather, she becomes “@SarahPalinUSA”. Use advanced features that permit you to link or upload media to your tweets. When you use a Twitter client, shortening URLs is easy. So is uploading media such as photos or video. You’ll find that, once you get going, your tweets start to pile up. How to manage them? The Twitter platform at twitter.com is good and getting better, but there are still other, better, free platforms available for you to use: Both HootSuite and TweetDeck are popular Twitter clients that permit you to manage multiple accounts (if you have them), add your Facebook feed and track lists and conversations. In fact, Twitter thinks so much of TweetDeck that it recently bought the third-party client. There are other third-party clients that work well, and you can Google for a list of “Twitter clients” that may meet your needs evenbetter than the platforms mentioned above. As we’ll soon be discussing our summer reading using the #tigermom hashtag, these clients will be of big help to you in keeping up with the discussion. Lots of people join Twitter. Many of them get immersed in the culture. Way too many of them simply try to participate from the outside without ever really getting it. I hope you’ll get immersed in the culture of social media. Previous Where’s the Drive to Perform? Next How to Raise the Trump Issue in Class.